A “broader” call to action engaging a “wider universe of advocates,” is needed to more effectively tackle antimicrobial resistance (AMR) – including everyone from financial investors to environmental groups. This was the message emerging out of a global meeting on the issue yesterday in London. The meeting, entitled “AMR Summit – Preventing an Antibiotic Apocalypse,” convened Tuesday by The Economist, brought together dozens of representatives from industry, civil society and international organisations to consider “why the global call to action on such a critical public good is now sputtering, and how renewed energy and momentum might be unlocked in the global fight against AMR,” according to the summit brochure [pdf]. “The superbug threat cannot be removed by one single person, organisation or sector; coordination, commitment and collaboration are key,” Jayasree K. Iyer, executive director of Access to Medicine Foundation, said at the meeting. 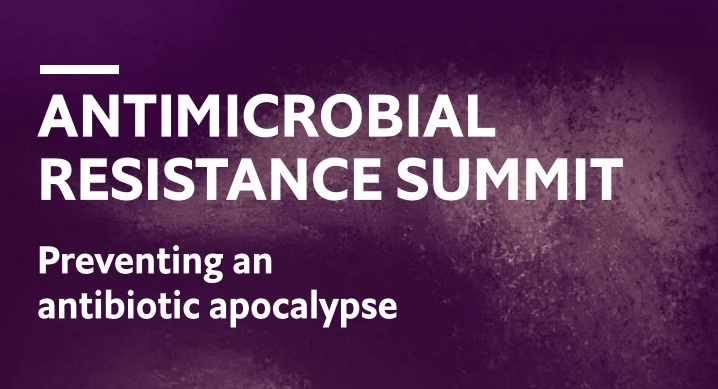 The discussions covered a range of issues related to the broader challenge of making the AMR battle mainstream. It included review of: advocacy-related challenges following the United Nations Political Declaration on AMR [pdf] in 2016; AMR surveillance initiatives such as WHO’s Global Antimicrobial Resistance Surveillance System (GLASS); the AMR investment conundrums of both the private and public sectors; innovations to treat drug-resistant tuberculosis (DR-TB); and the role of vaccines and better diagnostics. Along with experts from government and the World Health Organization, pharmaceutical companies were prominent participants, including Johnson & Johnson, Pfizer and Cipla; as well as research and academic institutions, such as Chatham House, CARB X and the London School of Hygiene and Tropical Medicine, foundations such as Wellcome Trust and The Pew Charitable Trusts, and other industry groups such as the World Economic Forum. “In a classic case of market failure, aging antibiotics that are increasingly less effective are not being replaced by new ones. Meanwhile resistance is accelerating through the misuse and abuse of antibiotics – in humans, animals and the environment. The cost of inaction is great. The risk of returning to a pre-antibiotic era, as resistant infections become more common and more life-threatening, is very real,” the brochure says.